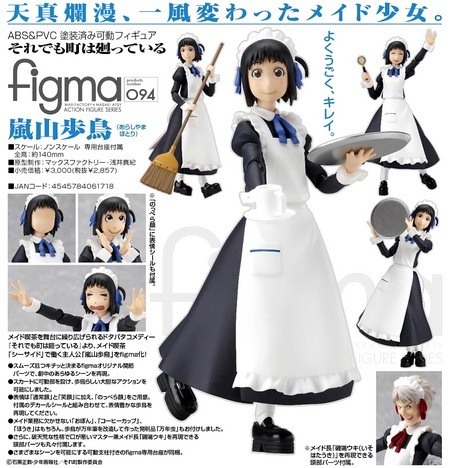 December 16th, 2010 By: GGT Category: 2011/05 release, Figure News. 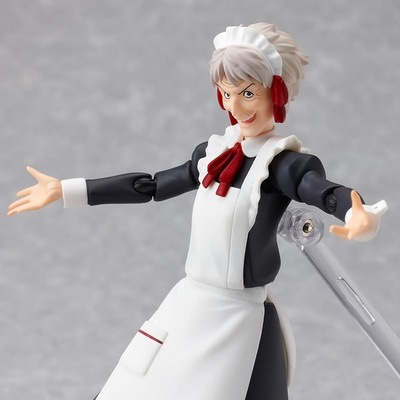 Max Factory is going to release the figma 094 Arashiyama Hotori ( 嵐山歩鳥 ) action figure form the manga/anime “Soredemo Machi wa Mawatteiru” ( それでも町は廻っている ). Will be released in April May 2011. 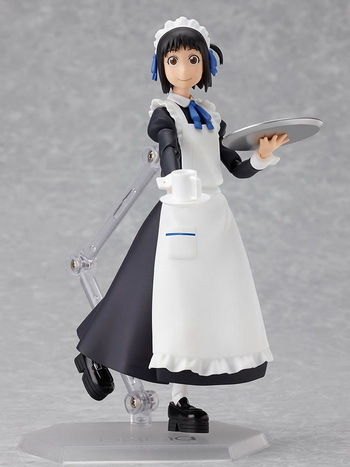 Around 140mm tall, 2,857 yen. Like I said before, I didn’t watch the “Soredemo Machi wa Mawatteiru” anime and only read the manga volume 1 loooooong ago so I really couldn’t remember any about this show. Anyway, is it just me or her eyes looks kinda dead? It’s like there is no soul in her eyes. Does she looks like that in the show too? 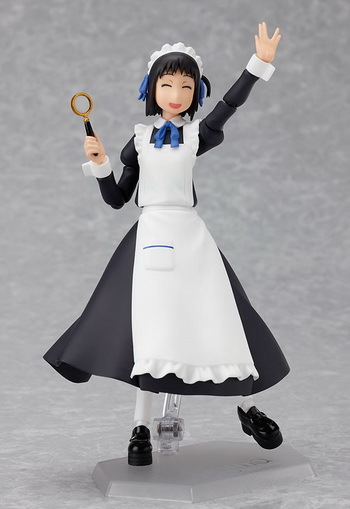 The naive and eccentric maid! 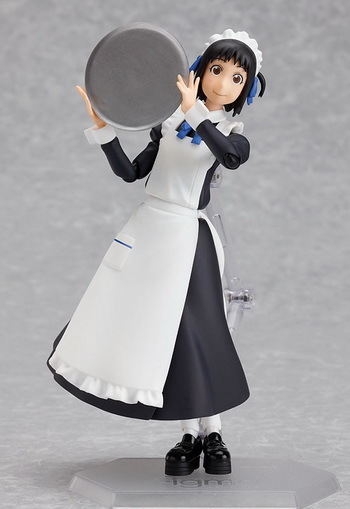 From the slapstick comedy series set in a maid cafe, “Soredemo Machi wa Mawatteiru” comes a figma of one of the maids that works at the ‘Seaside’ Maid cafe – Hotori Arashiyama. 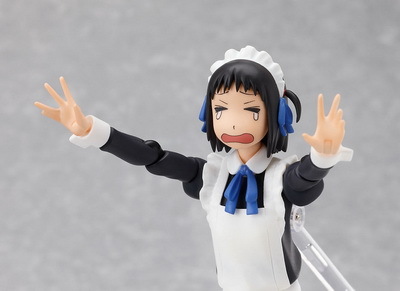 Even her skirt is fitted with joints allowing the bold action poses Hotori is known for. 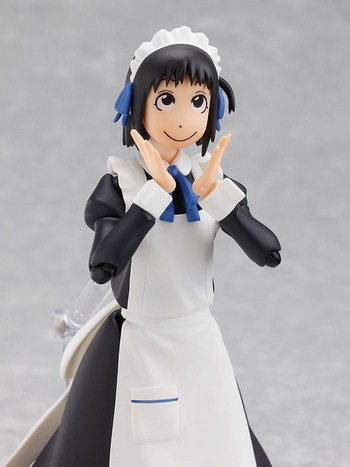 She comes with three expressions: A standard face, a smiling face and a black face with some decal stickers for you to create the face you want. 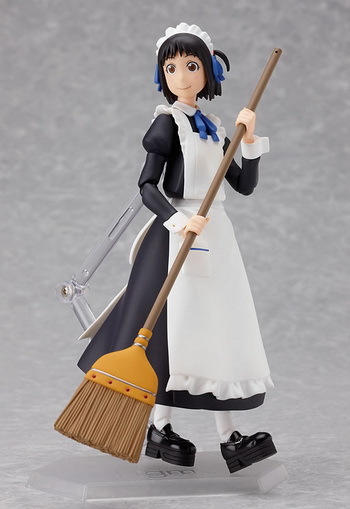 Various extras are included for her to do her work in the maid cafe – a tray, a coffee cup, a broom and even the magnifying glass made from a ballpoint pen. 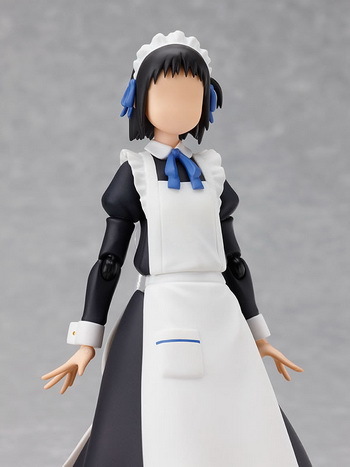 Extra head parts for Uki Isohata, the head of the maid cafe are also included.